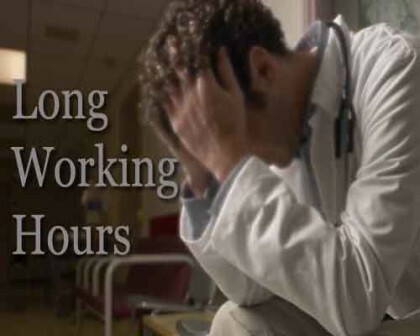 New Delhi: The Delhi High Court said that the standards have to be set regarding the working hours of doctors and the doctor-patient ratio in hospitals. The National Accreditation Board for Hospitals (NABH), a private body which comes under the Quality Council of India (QCI), told the court that the three hospitals it had examined were overcrowded and several sanctioned posts of doctors were lying vacant. The NABH, in its report placed before the bench, said there was a lack of integration of information technology programme between the out-patient departments (OPD) and laboratories leading to long queues for giving samples, collecting reports, visiting doctors and going to pharmacy for medication. The bench, thereafter, directed the Centre and the Delhi government to inform it on the next date about the steps taken or suggestions for rectifying the deficiencies pointed out in the report. On the issue of overcrowding, the NABH said in the Safdarjung Hospital there were 1,531 sanctioned beds and 300 floor beds, yet it had admitted 2,148 patients as it cannot deny admission and this can result in the spread of infections. The court had ordered evaluation of the healthcare quality at the All India Institute of Medical Sciences (AIIMS), Safdarjung Hospital and the LNJP Hospital as it was of the view that the Centre was “not placing” the correct picture before it regarding the same. The bench had decided to examine the healthcare quality and working conditions of medical professionals in the hospitals in the national capital while hearing a public interest litigation (PIL) initiated by it after perusing a news report on the rise in violent attacks on doctors. The NABH, in its report, has given various suggestions for reducing the flare-ups between patients’ families and doctors. It has suggested increasing the number of support staff like nurse assistants and ward boys, training all medical staff in advanced life support system and counselling and stationing adequate security personnel at critical locations. Is there a log book of cases done by residents? What is the mortality rate of emergency and non Emergency cases? Fault lies with the medical community. On the pretext of learning early, surgical residents are busy operating routine cases in emergency. Congratulation. This is one thought given nod, but not a guide to action. Implementation is not easy at all. Moreover, there is lack of will and commitment. Laudable and bold step taken by Delhi High court. For the first time the root cause of the ills of health care delivery system has been pointed out with input from a prestigious third party. Surprisingly the government is planning to increase the work load of already over burdened hospital staff by increasing the OPD hours from 8am to 8pm with same number of doctors. The government should wake up and try to follow suggestions of Delhi High court.